Loma Linda, California, is home to one of the highest concentrations of Seventh-Day Adventists in the United States. Buettner has identified Loma Linda, California, as one of the "Blue Zones," or areas of the world where people live long, healthy lives. These are some of the foods the Adventists rely on most. High in potassium and low in salt, avocados may help reduce blood pressure and the risk of stroke. Ounce for ounce, an avocado contains 30 percent more potassium than a banana, a dietary staple for many people with high blood pressure. The longest-lived Adventists are pesco-vegetarians. They eat plant-based food and up to one serving of fish per day, most often salmon, well known for its heart-healthy properties. Researchers at the Harvard School of Public Health recently concluded that people who eat one to two three-ounce servings weekly of fish rich in omega-3 fatty acids — the oil that collects in the fatty tissue of cold-water fish—reduced their chance of dying from a heart attack by a third. 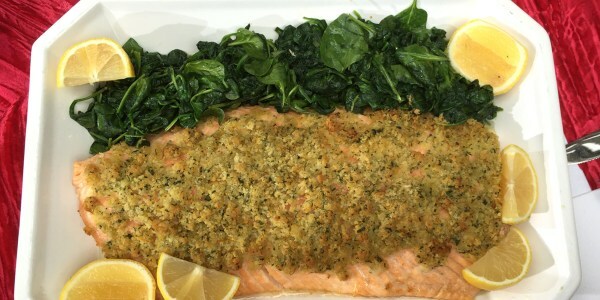 To play it on the safest side, look for wild-caught Alaska salmon, which contains the least contaminants and the most omega-3 fatty acid–rich oils. A study during the 1990s found that Adventists who ate a handful of nuts at least five times a week lived two to three years longer than people who didn’t eat any nuts. More research since then found links between nut eaters and lower rates of cholesterol, blood pressure, chronic inflammation, diabetes and a myriad other troubles that add up to cardiovascular disease. For vegetarian Adventists, beans and other legumes such as lentils and peas represent important daily protein sources. There are at least 70 varieties of beans to choose from and an infinite number of ways to prepare them. Ellen G. White, founder of the Adventist Church, prescribed six to eight glasses of water daily. Apart from its well-known hydrating and toxin-flushing benefits, water consumption promotes better blood flow and less chance of clotting, some studies have suggested. Beyond their health value, six glasses of water a day likely push diet sodas, fruit juices and other sugar-sweetened or artificially sweetened beverages out of the diet. 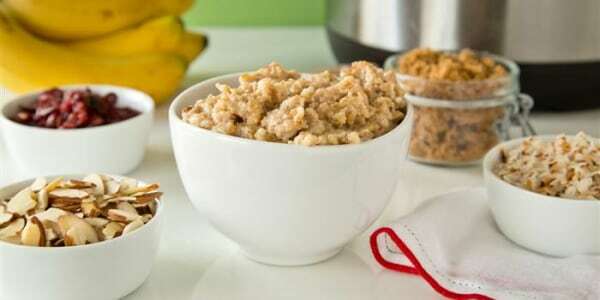 A staple for Adventists, slow-cooked oatmeal is frequently mentioned as the breakfast for American centenarians everywhere. It provides a balanced portion of fats, complex carbohydrates, and plant protein, along with good doses of iron and B vitamins. Its high-fiber content makes it filling, and nuts and dried fruits can add fiber, flavor, and variety. Like other Americans, Adventists often find themselves eating lunch at school, at work, or on the go. Slices of 100 percent whole wheat bread are convenient and healthy “packaging” for protein and vegetable fillings, such as avocado or nut butters. True 100 percent whole wheat breads add only 70 calories per slice to the sandwich plus small amounts of a wide variety of nutrients. The high-fiber content minimizes the need for mid-afternoon snacking, which is often less than healthy. Adventists use real soy milk (not the sweetened, flavored variety) as a topping for breakfast cereals, a whitener for herbal teas, and an all-around healthy alternative to dairy. High in protein and low in fat, soy milk contains phytoestrogens that may protect against certain types of cancer. Because it’s so versatile, it can figure into daily breakfast, lunch, and dinner.